The Supreme Court on Tuesday dismissed a plea seeking establishment of a permanent Bench of the High Court of Allahabad for Western Uttar Pradesh. 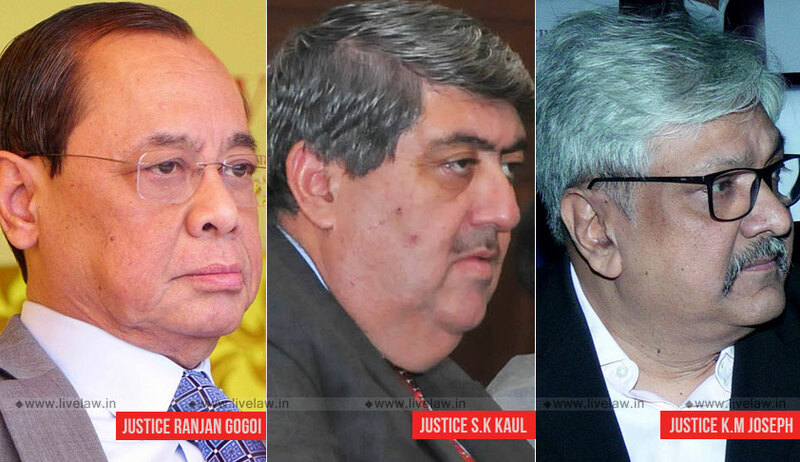 It cannot be the subject matter of judicial determination and directions, said the bench comprising of CJI Ranjan Gogoi, Justice Sanjay Kishan Kaul and Justice KM Joseph dismissing the writ petition filed by NGO- Fight for Human Rights. The NGO had submitted that currently the Allahabad High Court has its separate branch at Lucknow and a similar bench be set up in the western part of the state to ensure easy access to justice for the natives. Earlier this year, lawyers in western UP had protested raising this demand. It is seen that Rajendra Agrawal, MP from Meerut had moved a bill in Lok Sabha in the year 2016 seeking establishment of a permanent Bench of the High Court at Allahabad at Meerut. It is said that there has been a long pending demand to establish a permanent Bench of the High Court in western Uttar Pradesh since 1955. In its statement of objects, the MP had cited following reasons to have permanent bench at Meerut. The numbers of pending cases from western Uttar Pradesh region are more than half of the total number of pending cases in Allahabad High Court. The proceedings of cases arising out of western Uttar Pradesh held in at Allahabad High Court even though there is Lucknow Bench of High Court in between Allahabad and Western Uttar Pradesh but it has no territorial jurisdiction over pending cases of western Uttar Pradesh. Western Uttar Pradesh region with around one-third of State population requires a separate Bench comprising not less than 25 Judges of Allahabad High Court at Meerut. In a large number of cases, the Government of Uttar Pradesh, its various departments or the Public Sector Undertakings and autonomous bodies under the State Government happen to be a party. Establishment of a permanent Bench at Meerut will not only reduce unnecessary expenditure from the public exchequer but would also benefit people from five divisions i.e., Agra, Aligarh, Meerut, Moradabad and Saharanpur comprising total 22 districts i.e., districts of Meerut, Bulandshahr, Ghaziabad, Gautam Buddha Nagar, Baghpat, Hapur, Saharanpur, Muzaffarnagar, Shamli, Sambhal, Moradabad, Bijnor, Rampur, Amroha, Agra, Firozabad, Mainpuri, Mathura, Aligarh, Etah, Hathras and Kasganj.